Rev. Ike Teaches You the 4 Steps to Getting What You Want in Life! Are you ready to break out into greater, success, prosperity and money? 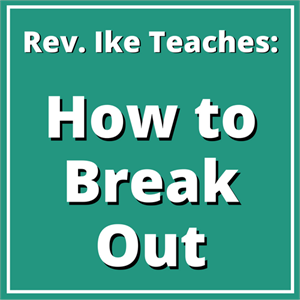 Then you will love this entertaining, enlightening, participatory workshop – 'HOW TO BREAK OUT' – as Rev. Ike reveals his simple yet profound secrets for manifesting the good that you desire! With his usual wit and humor, Rev. Ike leads you through the four steps (techniques) for success in every area of your life (Law of Attraction)! Why you must DECIDE what you want - and the techniques for deciding! The power of BELIEF - how belief makes you unstoppable! Why you must SEE what you want - using your power of Visualization! Why you must FEEL IT - how and why FEELING gets you your BLESSING! 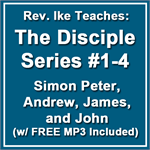 Listening to this 2-hour, 2-MP3 teaching is like having at front-row seat at Rev. 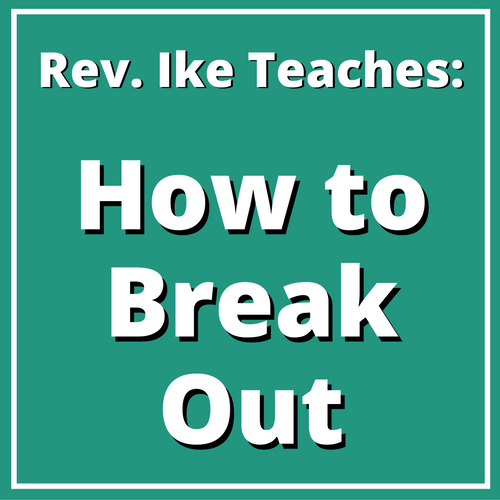 Ike's popular "How to Break Out" Seminar – it's even better, because you get to TAKE REV. IKE HOME WITH YOU! And this is truly a workshop, because you'll participate and interact with Rev. Ike throughout, repeating after him the ideas and affirmations that will sink deep into your subconscious mind and set you up to create the reality that you want! Rev. Ike will open your eyes to some (perhaps shocking) truths about the nature of God, and why your concept of God determines how God serves you! You'll discover: the importance of believing (faith) – learn the meaning of 'mental equivalent' – and find out why it helps to be a little bit "crazy" sometimes and not have too much "good sense!" You'll discover one of the key secrets of visualizing effectively – and learn why you must never curse the rich (or be envious of them)! (Rev. 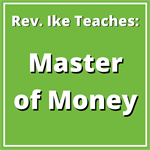 Ike teaches you what you should do when you see wealthy people or possessions you wish you had!) And you'll participate in a visualization treatment with Rev. Ike for HEALTH, HAPPINESS, and even CHANGING the APPEARANCE of your body! How Your FEELING Gets You Your BLESSING! FEELING is the secret – and Rev. Ike reveals the eye-opening, metaphysical meaning of the Bible story of Esau and Jacob - that brings home the message for YOUR Life – teaching you the importance of feeling -- and showing you how to use the miracle-making Law of I AM. He then takes a few important questions from the audience, dealing with self-doubt – with answers that you will want to apply to YOUR life! And lastly, you'll repeat with Rev. Ike a closing benediction, an affirmation that will seal the deal between you and God-in-you for riches in every way: Good Health, Happiness, Love, Success, Prosperity, and Infinite Money! Total length: 1 hour 54 minutes.